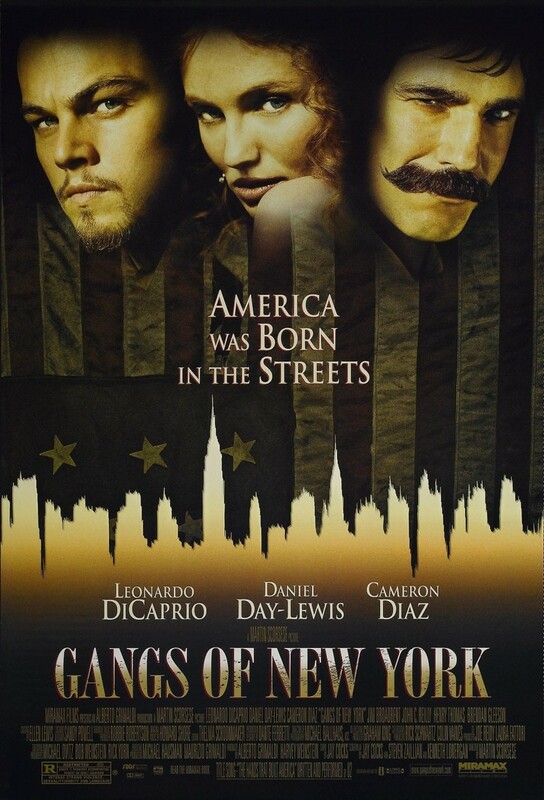 The Five Points area of Lower Manhattan is a dangerous place in the middle 1800s, dominated by politically-backed gangs. No gang leader is tougher than Bill "The Butcher" Cutting, who heads up the Natives. Cutting kills "Priest" Vallon, the leader of the Irish immigrant gang the Dead Rabbits. Vallon's young son, Amsterdam, is raised in an orphanage, but vows revenge on Cutting. He gets his chance years later when he returns to Five Points and works his way into Cutting's inner circle. Vallon's true identity is revealed, forcing him to flee from Cutting, who has wounded him in a knife fight. Vallon raises a gang to do battle with the Natives. The final showdown takes place around the New York City draft riots of 1863.